Indians love the high ground clearance and great street presence SUVs offer, and also the compactness offered by cars measure under 4 meters in length. The sub-4 meter SUV segment offers the perfect combination of both these factors. Needless to say, this segment alone brings in sales of about 20,000 vehicle each month, topping SUV sales in India. Here are India’s best and worst selling sub-4 meter compact SUVs. Maruti Suzuki sold a stunning, 140,945 units of its only sub-4 meter compact SUV – the Vitara Brezza. A late entrant to the segment, the Vitara Brezza is now breaking sales records, and sells over 10,000 copies every single month. And guess what, it isn’t even offered with a petrol engine. Prices start from Rs. 7.24 lakhs. The diesel-only SUV features the 1.3 liter Fiat Multijet turbocharged motor with 89 Bhp-200 Nm on tap. A 5 speed manual gearbox and a front wheel drive layout are standard. 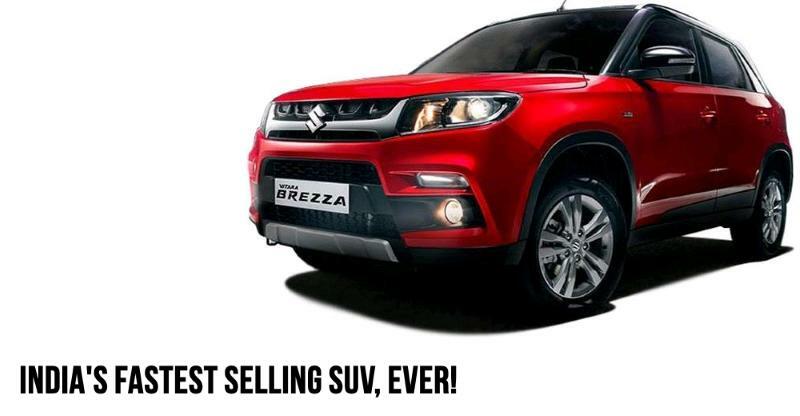 Maruti is likely to start selling a petrol powered version of the Brezza from this year. The 1 liter-3 cylinder BoosterJet turbo petrol engine with 100 Bhp-150 Nm is likely to be offered on the petrol variants. A 5 speed manual gearbox is expected to be offered with this engine given the fact this combination is already offered on the Baleno RS hot hatch. The Nuvosport – a heavily reworked version of the Quanto – is India’s worst selling compact SUV. Mahindra sold just 451 units of the SUV in the whole of 2017, less than 1 % of the Vitara Brezza’s numbers. And it’s not like Mahindra doesn’t have a strong brand presence in India, or for that matter enough dealerships around the country. The Nuvosport’s earlier iteration, in the Quanto was also poorly received, mainly due to its oddball looks. The Nuvosport is stuck in a similar position, despite its vastly improved looks, interiors and features. 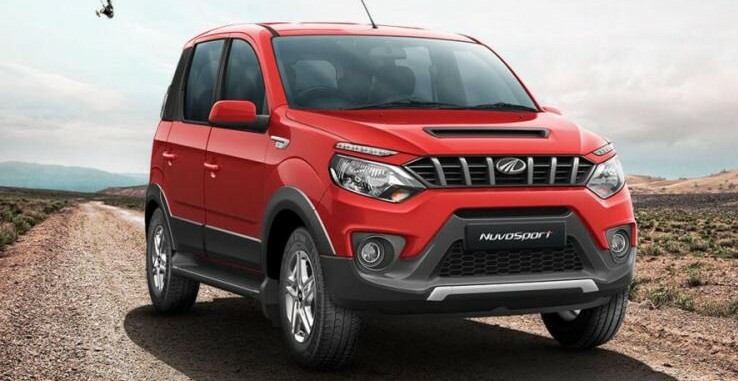 The Indian market is brutal towards cars that are based on flop models, and this playing out in case of the Nuvosport. The 7 seat SUV that uses a ladder frame chassis is rear wheel driven, and is sold with a 1.5 liter-3 cylinder twin scroll turbocharger equipped diesel engine making 100 Bhp-240 Nm. Both 5 speed manual and AMT options are available. ABS and Airbags are offered on the higher variants. Prices start from Rs. 7.77 lakhs.